It is nearly impossible to experience all there is to do here in this tropical paradise. We have listed many of the available activities, along with additional information to help you schedule each of your adventures during your visit. We have a wonderful tour guide who will visit you upon your arrival at the villas to explain all of the following in even greater detail. Two-hours on a safe raft floating down the river until the journey takes up on the Tenorio River, where incredible birds will delight your sight. 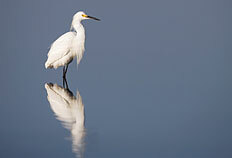 Some of the possible birds to see on this trip include the snowy egret, tricolor heron and the boat bill heron. The tropical flora along the river will be the perfect background for this unforgettable and unique tour. Our rates for this tour include lunch, shopping tour through Liberia, transportation with a/c car and bilingual guide. Half-day trip from our Costa Rica all inclusive villas. In this nature hike you will find the bubbling mud, steamy sulfur water ponds and fumaroles, while you explore the 1-½ miles of trails in the jungle. On this trip you will keep searching for the animals that make this park their home. Monkeys, toucans, deer’s, coatis are all easily spotted. Full day tour includes a/c transportation, English speaking guide, lunch and entrance fees. Full-day trip. Feel the Majesty of the Imposing Arenal. This tour will take us through the most incredible sights of the Arenal Lake. Arriving to the hot springs on the perfect time to enjoy its curative and relaxing pools at the bottom of the impressive volcano. We will stay at the volcano area until dark, hoping to see its red lava coming down, a natural wonder rued by Mother Nature. This tour will includes a/c transportation, dinner, entrance fees to the hot springs and a beautiful hike to the Water Fall in the rain forest. Full-day trip from our Costa Rica all inclusive villas. Note: We can do Arenal Volcano together with a rain forest hike, that takes about two and a half hours including hanging bridges on the top of the rain forest. Remember to bring rain gear! We offer this tour as an additional tour with the Arenal Volcano full-day tour (above). We do a hike into the rain forest area for three hours, where you will see and learn about the vegetation, local animals and see a Costa Rican Indian reserve. Full-day tour. The best tour in the whole province of Guanacaste to see. This boat ride takes you through a wildlife sanctuary. Scientists from all over the world come to study this rich ecosystem that combines rivers, marshland, mangroves and dry forest. Our river cruise will take us on the Tempisque River, where we will look for crocodiles, monkeys, iguanas and different kinds of birds that immigrate to Palo Verde. This tour includes a/c transportation, English speaking guide, lunch and boat ride. Half-day trip. This is the time to see the forest like you have never seen it before. From the top of the ancestral trees you will mix yourself with the incredible life of the tropical forest; here the adventure will begin. There are 840 meters of cable between the forest from tree to tree, where you will hang as a monkey with harness and safety equipment discovering the forest from a totally different point of view. This tour is a 100% adrenaline experience worth discovering. Tour includes a/c transportation, English speaking guide, canopy ride and a refreshing drink at the end. Half-day trip. What is good for the body is good for the soul, and there is not a better spot for body and soul than Borinquen mountain resort, situated at the foot of the Rincon de la Vieja Volcano. Here you can see the volcanic activity, such as fumaroles, gassers, and a natural sauna situated on the top of one of the gassers, which are heated by the steam of the gassers, and the sulfur water that has been enhanced for your enjoyment between impressive fumaroles. At the natural spa you will have the opportunity to apply a mud mask, with its rich minerals including sulfur, will clean your skin and make you feel reborn. A short horseback ride will take you from the main lodge through green vegetation to the Turkish bath and fumaroles. 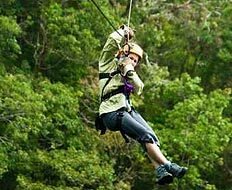 Also, you will be able to experience the top of the line speed canopy tour in Guanacaste. Tour includes a/c transportation, lunch, canopy tour, horse back riding, hot springs mud bath and English speaking guide. Full- day trip. This particular tour offers a full day of adrenaline. We start with a canopy tour that has been set up on top of a canon where you can actually see the Colorado River. It offers nine different cables, with beautiful views and adrenaline rush. Once you finish with the canopy tour, we will get ready to go on the rafting tour (this takes an hour). The rafting is done in rubber boats that can only handle two people per boat (a guide and a customer—you will all be together, but everyone will have their own guide). Lunch is provided on this tour. You can choose between two different activities here. 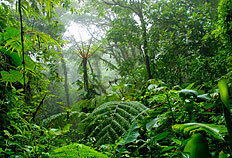 The sky trek is the best canopy located in the cloud forest. The highest tower is 398 feet tall and the largest cable is almost two miles long. From this canopy tour you will see the cloud forest from above, the best of the adrenaline rides! You can also choose to hike in the national park. This takes three hours. Lunch is served on this tour. Full-day trip. This tour is one of the most popular from our vactioners staying at our Costa Rica all inclusive villas. This tour is great for family groups of almost all ages. The tour is located right next to the Rincon de la Vieja Volcano and the canopy tour is located on a tropical rain forest. The weather is very nice and all the activities are close to get to. They offer the best water slide through the tropical rain forest with its 1200 feet long. You can also do it as many times as you like! Lunch is Costa Rican style with rice, beans, selection of meats and natural juices. 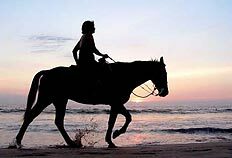 The horse back riding is optional (it departs from the reception area to get to the mud bath). This tour is very unique: they only allow 25 people per day. 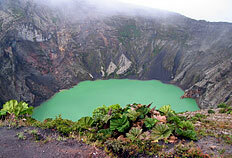 The tour is located at the low lands of the Rincon de la Vieja Volcano. They offer horseback riding for 30 minutes, zip line canopy tour, natural hot springs, open bar and a wonderful lunch. Full-day trip. They also offer the spa service for those who would like to have a massage. This is extra. This tour is for those who like a guided ATV tour for two hours to enjoy the views and vegetation. The machines are automatic, 250 cc Honda (easy to drive). 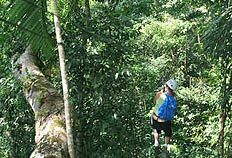 The canopy tour takes two hours (they have 11 cables located at the rain forest, with great views of the Guanacaste territory). A great Costa Rican lunch is provided. Full-day trip. If you like pure adrenaline adventure, this is the tour that we recommend. They offer one of the best canopies in Costa Rica with 27 cables and you will be passing by 11 different water falls (two of these water falls you will do rappelling). The entire tour takes two hours. We provide breakfast and lunch. The pickup time is 5:30am and you will return to the villa around 4:30pm.